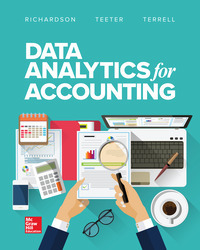 This edition is designed to prepare your students with the necessary tools and skills they need to successfully perform data analytics. Using Isson's data analytics model, the IMPACT Cycle, the authors provide a conceptual framework to help students think through the steps needed to provide data-driven insights and recommendations. Labs provide multiple datasets and tutorials. Students will conduct data analysis using Excel, Access (including SQL), Tableau, IDEA, XBRL, and Weka.